IT’s Learning is a leading provider of cloud-centered Learning Management System (LMS) across the globe. The company was founded in 1998 at Bergen University College in Norway by a group of students who sought to identify why digital tools were rarely used in their school. Since these students were computer engineers, they resolved to change that trend through developing a learning management system for their master’s project (It’s Learning, n.d.). In the initial stages of development, the system was a single platform through which teachers could share their academic files and resources while students could complete and deliver their assignments. As the system became an instant hit, IT’s Learning was founded with a vision of promoting effective use of technology to significantly enhance the field of education. Through its cloud-based LMS, IT’s Learning has developed to become a digital learning platform that supports teachers and students to effectively manage the learning process, develop multimedia resources, and share academic information and work online (EQT AB, 2017). Since its formation, IT’s Learning has continued to grow given its vision of promoting the adoption of technology in the world of education. The company has engaged in several initiatives to expand its operations beyond its home country. In most cases, IT’s Learning markets in digital learning platforms and solutions through resellers, which has helped in expanding operations in both Norway and other parts of the world, particularly Europe (Bloomberg, n.d.). Some of the major countries where IT’s Learning currently operates in include France, the Netherlands, Finland, Sweden, Denmark, and the United Kingdom. The expanded operations beyond the company’s home country in Norway is attributable to effective strategies for global operations. One of the major strategic issues that faces IT’s Learning as its expands beyond its home country is competition in the market. The learning management system comprises of over 60 different providers and represents a market estimated to be $860 million. In Europe and the United States where the firm seeks to expand its operations is estimated to be approximately $173 million. Competition in the market is a major strategic issue for this company because the largest companies providing LMS services account for nearly 50% of the market. The other market segment is comprised of smaller LMS product vendors, enterprise resource planning vendors, training outsourcing firms, and consulting firms. Leh (2016) states that the LMS market is increasingly competitive because educational professionals, vendors, and practitioners continue to look for and develop different measures to promote life-long learning and enhance the experiences and outcomes of learners. Large and small companies continue to compete for the same market segment because modern learners want to consumer just-in-time resources. Additionally, these learners want to leverage collective knowledge in a reliable, inexpensive, and instant manner (Leh, 2016). Consequently, various kinds of learning technology providers are constantly engaged in developing systems that meet this need. According to Matthews (2016), the international market for learning management systems continues to be highly competitive and dynamic because of increased investments, acquisitions, and mergers by LMS providers. These trend contributes to intense competition in this market, which generates a significant strategic issue for IT’s Learning as it expands beyond its home country. The significance of this issue is attributable to that fact that there are several local and foreign developers of LMS across the globe including in Norway. The firm faces stiff competition from two major rivals i.e. BLACKBOARD and CLASS FRONTIER as well as LMS systems customized by every learning institution. The second major strategic issue facing IT’s Learning is identifying a suitable expansion strategy for market entry. For its local growth in Norway, this company utilized a strategy of providing its products to higher learning institutions. When expanding to the Netherlands in 2007, the firm had to change its strategy because of the specific conditions in the market. For instance, IT’s Learning had to change its strategy when expanding to France because it had to deal with cultural differences. One of the measures that the company has utilized as part of its expansion strategy is product diversification. Suttle (n.d.), states that product expansion and diversification are some of the growth strategies employed by companies when expanding to new markets. Product expansion involves adding new features or produce line to boost sales and profits whereas product diversification entails selling new products to new markets. IT’s Learning seems to rely on product expansion as the premise for its expansion into new markets or beyond its home country. For example, in its expansion to the UK, IT’s Learning included filters in its LMS to sort out improper language. The significance of identifying a suitable expansion strategy is evident in the fact that firm recognizes that expanding into a new market requires a lot of planning because of differences in languages, cultures, and rules and regulations across countries. The third strategic issue facing IT’s Learning as it expands beyond its home country is cultural differences because every country has different languages and cultures, which affects how learning systems are established and utilized. Culture is an important aspect of conducting trade across international markets and plays an important role for international marketing (Ahmed, Ullah & Allam, 2014). The significance of cultural differences as a major strategic issue for IT’s Learning is attributable to the fact that every country has its own values, beliefs, traditions, and customs. In the learning management system market, cultural differences have negative effects on how students participate in digital learning platforms or online courses (Liu et al., 2010). Cultural factors have significant effects on how learning management systems are developed and utilized within a country. According to Guang & Trotter (2012), cultural factors affect the communication and potential for success for competition. For instance, when the learning management system was initially developed it incorporated features that reflected the cultural differences in international markets like the United Kingdom. In the United Kingdom, the system included features that would identify and delete improper words through an e-safety program. As a true innovator, IT’s Learning considers language and cultural factors when developing its cloud-based learning management system and its various features. The consideration of cultural differences is an important element to ensure that the system reflects the values, beliefs, traditions, and customs of the specific country or market. Cultural differences are critical strategic issues because of how culture affects businesses in various ways including language problems and pricing difficulties (Deari, Kimmel & Lopez, n.d.). IT’s Learning was founded and is currently headquartered in Norway, which has some advantages and disadvantages relating to its suitability as a home for a global development of digital learning platforms. At the time when IT’s Learning’s cloud-based LMS was developed, the education system in Norway had not adopted technology despite the rapid technological advancements. Most of the learning systems utilized in the country at that time were conventional systems that did not meet the evolving needs of educators and learners fully. Since IT’s Learning was founded and has expanded to other countries across the globe, Norway acts as the home of a global developer of digital learning platforms. However, the suitability of this country to support such a company has generated some concerns on the basis of its advantages and disadvantages. One of the major advantages of Norway as home for a global developer of digital learning platforms is the huge innovation market within the country. As previously mentioned, when IT’s Learning was developed technological adoption in Norway’s education sector was considerably low. Consequently, there was relatively minimal competition in the learning management system market because of a small number of competitors. In this regard, the learning management system was an emerging market that was yet to be tapped by companies. Actually, there were relatively very few tech companies that were providing learning management systems to meet the evolving needs of educators and learners. For instance, when IT’s Learning was formed, some higher learning institutions like the Norwegian School of Management were using BLACKBOARD’s learning management system. However, this system was less user friendly and complicated as reported by many lecturers. Given these factors, Norway was and still has a huge innovation market that promote the development and improvement of digital learning platforms. The huge innovation market is an ideal opportunity for companies like IT’s Learning to develop digital learning platforms that can be utilized across the globe. The second advantage is that Norway has an effective agency in digital learning i.e. the Norwegian Agency for Digital Learning in Higher Education, which promotes the development and use of digital learning platforms (Korten, 2016). This agency makes Norway a suitable home for a global developer of digital learning platforms because it funds research and development initiatives that in turn contribute to the increased adoption of technology in the education sector. The agency stimulates innovative and competent utilization of information communication technologies, which act as the premise for development of suitable digital learning platforms to support teachers and students. The Norwegian Agency for Digital Learning in Higher Education promote the development of digital learning platforms that can be utilized across the globe through investments in the creation of high-quality learning resources (Norwegian Centre for ICT in Education, n.d.). The efforts undertaken by this agency helps in creating a suitable environment where a global developer of digital learning platforms can thrive through engaging in innovative practices and measures. The third advantage is the establishment of a national IT-strategy and infrastructure that promotes the establishment and use of Information Technology in higher education (Korten, 2016). Through this strategy and infrastructure, the Norwegian government promotes the development and effective utilization of technology in the higher educational field. The governmental support and national IT-strategy and infrastructure makes Norway an ideal environment for firms that develop digital learning platforms. Based on this IT-strategy and infrastructure, digital skills are included as one of the basic skills in the country’s national curriculum (European Centre for the Development of Vocational Training, 2016). Since digital skills require the use of digital resources, tools, and media, the Norwegian government supports the development and use of digital products for learning and communicating learning content. These various factors play an important role in enhancing the suitability of Norway as a home for a global developer of digital learning platforms. The emphasis on the use of digital tools and resources in the higher education learning environment provides a suitable opportunity for companies like IT’s Learning to thrive as the create digital products for learning. The other advantage is Norway’s commitment and support to ICT-supported learning to promote continuous learning. The country is renowned for having a long tradition of ICT-supported learning through several national programs that focus on promoting continuous and lifelong learning (Kjeldstad, 2016). A recent country report has indicated that ICT is viewed as an important tool for promoting equity in educational opportunities (Norway Country Report, n.d.). Since the country’s government promotes ICT-supported learning, the country is a suitable environment where a global developer of digital learning platforms such as IT’s Learning can establish their operations. Norway is a suitable environment for such companies to create innovative platforms that enhance the use of ICT in higher education. Despite the numerous advantages that makes Norway an ideal environment for companies that develop digital learning platforms, there are some disadvantages that hinder the country’s suitability. First, digital online platforms developed in Norway require significant changes in order to be suitable for the global market because of language and cultural differences. Companies like IT’s Learning are forced to changed certain aspects of their digital products when selling them into new markets/countries, which is a major disadvantage. While these products such as the cloud-based LMS are designed in the English language, there are some changes that are needed when introducing them to new markets. For instance, when introducing the cloud-based learning management system in the United Kingdom, IT’s Learning was forced to incorporate additional features to delete improper words because of cultural differences. Secondly, the Norway has not established a framework through which educators are incorporated in the process of developing the digital learning platforms. Despite the significant national efforts towards ICT-supported learning by the Norwegian government, there is a lack of uptake in teachers’ use of such technologies (Krumsvik et al., 2016). This in turn hinders the capabilities of companies like IT’s Learning to develop effective digital learning platforms. For example, when IT’s Learning was founded, the existing digital learning platforms such as BLACKBOARD’s products were rarely used because of being complex and less user-friendly. This was primarily because of the lack of teachers’ involvement in the development process and educational technology uptake. Therefore, the lack of a suitable framework to promote technology uptake and involvement of teachers in creation of digital products in Norway makes the country unsuitable to act as a home of a global developer of digital learning platforms for higher education. As IT’s Learning expands its operations beyond its home country, one of the most critical aspects of international operations is developing competitive advantage in foreign markets. While expansion into international markets provides a suitable opportunity for companies to enhance their success and profitability, success in such markets requires developing competitive advantages (Dawar & Frost, 1999). Despite the numerous advantages of globalization with regards to promoting expansion into foreign markets, today’s business organizations face significant difficulties given the complex conditions in foreign markets (Budzynska, 2013). For international companies and marketers like IT’s Learning, international expansion not only provides greater opportunities but is also associated with greater challenges (Samli, 2013). IT’s Learning recognizes that developing competitive advantage is an important aspect of promoting successful operations in foreign markets. As a result, the company has utilized its resources and competencies to scale up and develop competitive advantage in the foreign markets. One of the competencies used by this company to develop and sustain competitive advantage in foreign markets is formulating strategic partnerships to not only enter but also strengthen competitiveness in a foreign market. Thompson, Strickland & Gamble (2011) state that one of the strategy options for developing and sustaining competitive advantage in foreign markets is the use of collaborative partnerships or strategic alliances. Through its strategic alliances or partnerships, IT’s Learning has developed competitive advantage by obtaining wider access to attractive markets, cost-saving with regards to distribution, and filling gaps in technical expertise and knowledge. For instance, IT’s Learning recently entered into an agreement with Microsoft for mutual promotion of the products of both companies. Additionally, IT’s Learning has entered into strategic alliances with the largest educational institutions in different countries to promote the use of its system in these countries. In 2015, IT’s Learning acquired Fronter, a Scandinavian-based learning management system, as part of its global initiatives towards realizing strong and sustainable growth as well as fostering its competencies (PR Newswire, 2015). Porter (1990) states that competitive advantage can also be developed and maintained through a highly localized process in which several considerations are made such as cultural, economic, national values, and institutional factors. This is the other competency utilized by IT’s Learning to scale up and develop competitive advantage in foreign markets. When developing a business strategy for a foreign market, IT’s Learning considers these factors in order to enhance the effectiveness of its LMS is supporting educators and learners in the specific country. For example, when expanding into the UK market, the company added features that delete improper words in order to ensure that the system reflects the needs of educators and learners in the country’s higher education environment. The localization strategy has provided a platform through which this company meets the needs of the locals and in turn develop and sustain competitive advantage in the foreign markets. This strategy generates competitive advantage for the firm by promoting local adaptability through which the digital learning platforms are customized to meet the needs of the locals (Bhattacharya, Hemerling & Waltermann, 2010). Third, IT’s Learning has maintained a single-country production base and exportation of its digital learning platforms to foreign markets. This strategy has helped in creating and maintaining the firm’s competitive advantage in foreign markets through lessening operational costs, which is a crucial aspect of effective transnational operations (Thompson, Strickland & Gamble, 2011). Through this approach, IT’s Learning effectively perfects its distinctive capabilities and core competencies for domestic and international operations. The use of this approach is influenced by the fact that the company is a multinational firm that operates across Europe and other countries. Veliyath & Brouthers (2010) state that conventional wisdom dictates that businesses operating across national borders hone their core competencies and unique capabilities in the headquarters and transfer them to foreign markets. For IT’s Learning, this process has entailed developing the ICT programs in Norway but based on the specific needs and demands of the specific country’s higher education sector. The company carried out an extensive market research to identify the needs and demands in the education sector and develop programs that meet these needs based on the specific country. For instance, before expanding operations into France, the firm identified the specific cultural factors and develop ICT programs that would meet the needs of the faculty and students. The development process was carried out in its headquarters before being transferred to the French higher education sector. In this regard, the company always exploits capabilities developed in its home country i.e. Norway in order to gain competitive advantage (Ireland, Hoskisson & Hitt, 2008; Lessard, Lucea & Vives, 2012). While the measures adopted by IT’s Learning have been beneficial in developing and sustaining competitive advantage in foreign markets, the company can still enhance its future resource development to foster competitive advantages in these markets. This module theory plays an important role in identifying alternatives through which IT’s Learning can enhance its future resource development. The theory provides suitable alternative through promoting a value proposition for targeting customer segments. This provides a suitable measure for future resource development through ensuring that the company defines the value of its digital products and tools based on customers’ expectations rather than product features (Doole & Lowe, 2005). Additionally, the theory provides a premise for understanding emerging opportunities, trends, and threats in the market and development of suitable business practices to harness these opportunities while minimizing threats (Czinkota, Ronkainen & Kotabe, 2009). International operations require the development of an effective international business model that contributes to increased competitive advantage across all operations (Neubert, 2013). The theory learnt in this module will provide a basis for development of an international business model based on the existing trends, opportunities, and threats in the LMS market. This framework will act as the premise through which IT’s Learning will identify different options for resource development based on market factors. In essence, the theory helps in the formulation of a global business strategy that is based on market factors and help in sustaining the firm’s competitive advantage. Without developing and utilizing the global business model, IT’s Learning will be unable to utilize suitable strategies that contribute to increased success and profitability in the market. Ahmed, M., Ullah, S. & Allam, A 2014, Importance of Culture in Success of International Marketing, European Academic Research, vol. 1, no. 10, pp.3802-3816. Czinkota, M., Ronkainen, I & Kotabe, M 2009, Emerging trends, threats and opportunities in international marketing: what executives need to know, Business Expert Press, LLC: New York. Doole, I & Lowe, R 2005, Strategic marketing decisions in global markets, Cengage Learning EMEA: London, UK. Guang, T & Trotter, D 2012, Key Issues in Cross-cultural Business Communication: Anthropological Approaches to International Business, African Journal of Business Management, vol. 6, no. 22, pp.6456-6464. Ireland, RD, Hoskisson, RE & Hitt, MA 2008, Understanding business strategy: concepts and cases, 2nd ed., Cengage Learning: Mason, OH. Krumsvik, RJ, Jones, LO, Ofstegaard, M & Eikeland, OJ 2016, Upper Secondary School Teachers’ Digital Competence: Analyzed by Demographic, Personal and Professional Characteristics, Nordic Journal of Digital Literacy, vol. 11, no. 2, pp.143-164. Liu, X., Liu, S., Lee, S. & Magjuka, RJ 2010, Cultural Differences in Online Learning: International Student Perceptions, Educational Technology & Society, vol. 13, no. 3, pp.177-188. Neubert, M 2013, Global market strategies: how to turn your company into a successful international enterprise, Campus Verlag, Frankfurt: Germany. Samli, AC 2013, Developing a Competitive Advantage, In International consumer behavior in the 21st Century, chap. 2, pp.11-17, Springer: New York. Thompson, AA, Strickland, AJ & Gamble, JE 2011, Crafting and executing strategy: the quest for competitive advantage: concepts and cases, 17th ed., Mc-Graw Hill Education: New York. Veliyath, R & Brouthers, L 2010, How Emerging Market Firms Compete in Global Markets, Journal of Emerging Knowledge on Emerging Markets, vol. 2, no. 1, pp.2-18. "IT’s Learning Cloud Based Learning Management System Essay." Aceyourpaper.com. Student Network Resources Inc, 5 May. 2017. Web. 19 April 2019. Student Network Resources Inc. "IT’s Learning Cloud Based Learning Management System Essay." Aceyourpaper.com. 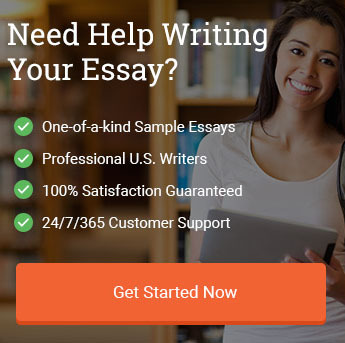 https://www.aceyourpaper.com/essay/learning-cloud-based-learning-management-system-essay/ (accessed April 19, 2019).